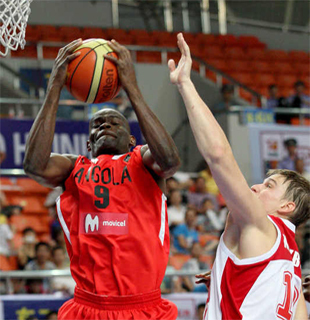 Needing a convincing win to advance to the finals, Angola rose to the occasion to defeat Russia, 60-53, in day three of the Stankovic Continental Cup 2011 on Wednesday night in Haining, China. Kikas Gomes spearheaded Angola’s attack with his 10 points, while Simao Santos and Domingos Bonifacio added nine and eight points, respectively, leading the African Champions to the finals despite absorbing a tough 76-68 defeat against Australia on Tuesday. The two teams went toe-to-toe and traded leads in the first half that ended with the game tied at 31. Angola gained some grounds in the second half after a strong third quarter, building a five-point lead heading into the final period. Russia had their chances in the fourth quarter, but Angola’s defense was simply too much for them and they were limited to 11 points to end their title hopes. Petr Gubanov had 15 points, while Igor Smygin chipped in 11 points the Russia University team, which was relegated to the battle-for-third after sweeping their first two games of the tournament. The battle-for-third and finals will take place on Thursday in Haining, China.